I can download firmware EOS successfully, but not EXOS firmware. 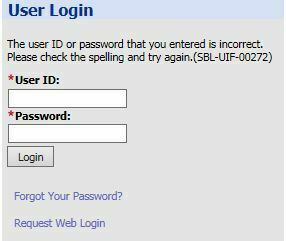 To try authentication informs that login or password is incorrect. See screen print. You can also click in "Request Web Login" and fill the form. Or even click in "Forgot Your Password" just in case you already have the access credentials. I have login, and password is no problem, so I can authenticate me and make EOS firmware download. I checked with our IT department it is looks like there was something wrong with your account. They just corrected it. Please logout completely, closing all broswer windows. Attempt to log back in but please go to the Extranet first (attempt to get to an EOS page first), then go to the EXOS pages. If it doesn't work after that, let us know. Perform the steps according to your post, but it does not work. How do I delete the login? After adding to see if that resolves the problem. Would it be ok to reset your password, that way we can test things, get it working and let you know once its fixed? I just ended up opening a GTAC case for you so we can track it accordingly. Reset password and access is OK to download EXOS firmware.